Picture this – it’s Friday, late afternoon at my place. Four kids, tired from their week at school and kinder, are hanging around pestering each other. That hideous time between being too late to start a major activity but too early for me to start cooking dinner is when I decided to trial a DVD that landed in my mail box. And the results were stunning (four kids – quiet, calm and relaxed; me – quiet, calm and relaxed). The newly released Epona Yoga DVD is developed especially for children by Debra McCormick, Australia’s only Chopra Centre Certified Ayurvedic Master. 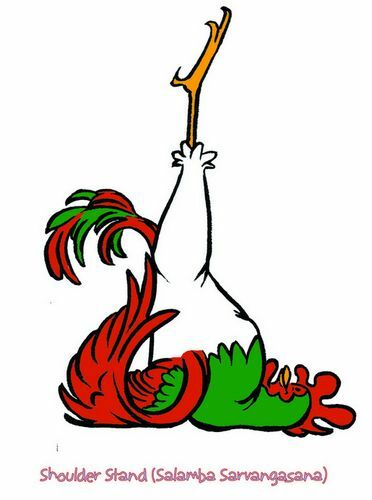 The DVD is simply animated with yoga-practising characters: Mali the Monkey, Sunni the Sunflower, Rafferty the Rooster and Tula the Turtle, each demonstrating different yoga moves. 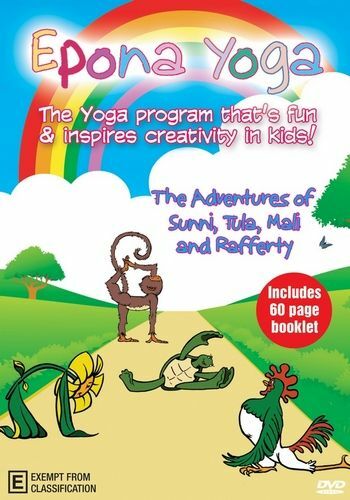 Comprised of four different stories (one for each character), the DVD begins with Sunni the Sunflower and an introduction to some basic yoga moves and simple relaxation techniques. Analogies and examples that are relevant to children are used to explain techniques. For instance, in the introductory breathing exercises, Sunni imagines that her tummy is like a big balloon that she is filling with air. By the last story, Mali the Monkey, the breathing technique is simply referred to in terms of “feeling your breath fill your tummy” – these kind of small progressions are perfect for reinforcing what has been learnt and building skills. My three and five-year-olds easily managed the first two stories of Epona Yoga – the pace and instructions were perfectly pitched. Mali’s story, which has more complex moves and includes instructions such as “Put your right leg…”, is more challenging for younger children who may need to be guided by an adult until they get the hang of it. The DVD includes many meditative techniques and simple sentiments that children can apply outside of ‘yoga time’. There are moments in the day where we can all benefit from stopping what we are doing to take a few deep, calming breathes. Similarly, we can all take Mali the Monkey’s lead and reflect quietly on something that we are thankful for each day. Now I can’t guarantee similar results every Friday afternoon witching hour but the Epona Yoga DVD is perfect for gentle activity that is fun but also requires a degree of concentration and focus. The hour-long DVD and accompanying storybook/instruction manual is available at major department stores and online at Epona for $29.95.